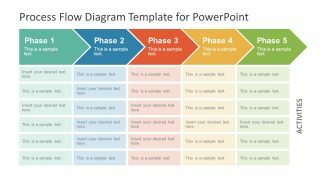 The Chevron Process Flow Diagram for PowerPoint is an arrow timeline infographic template. 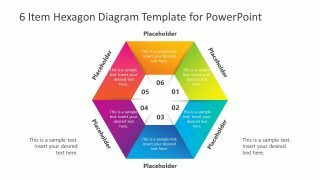 It is a simple PowerPoint template, providing a clear view of text placeholders to the audience. Therefore, the users can add major phases or milestones as headings in linear process flow diagram. Similarly, it can help in multiple model presentations like project development life cycle. 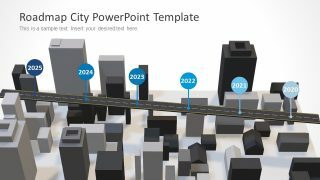 The template can also assist in presenting details i.e. 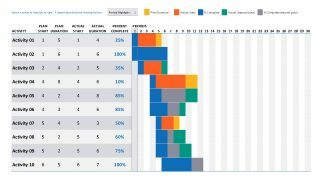 status of a project or its processes. 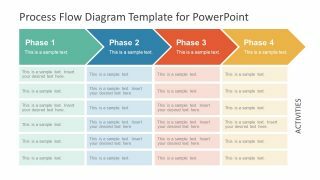 As a part of business presentation, the slide of process flow diagram can demonstrate range of timeline and workflow concepts. Such as company objectives, product development, timeline of events or roadmap of operational activities. Demonstrate the sequence of steps in a linear process. 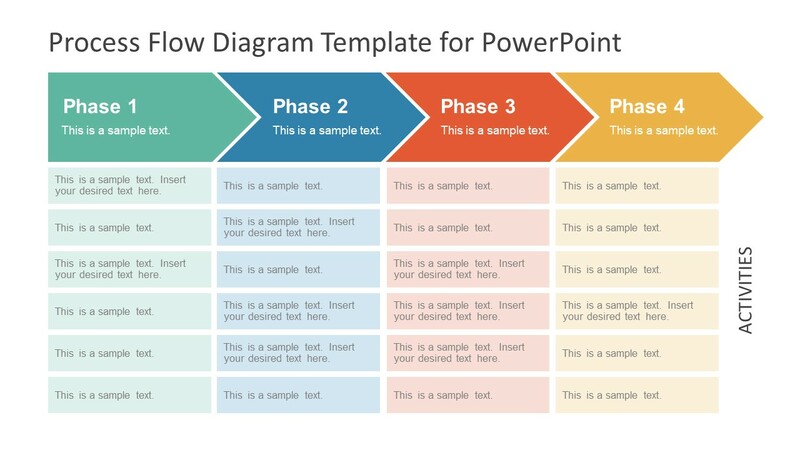 The PowerPoint diagram of arrow process flow has distinct color for each phase of template. 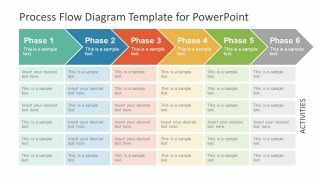 In this way, the presenter can draw viewer’s attention to certain process in the diagram. Further, users can add animations to display phases of process flow one after the other. 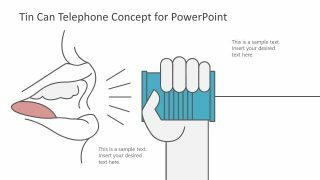 They can also change the colors in the diagram i.e. create a gradient effect through phases.